Cheers to my first review of 2018! I picked up this Milky Piggy Carbonated Bubble Clay Mask back on one of my Hong Kong trips but I know it's easy to find in the US as well. 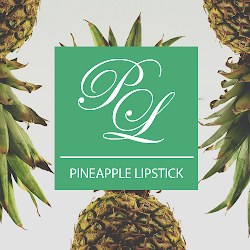 The formula is packed with charcoal powder, green tea, pomegranate extracts, and collagen that is supposed to help exfoliate and draw dirt from your pores. 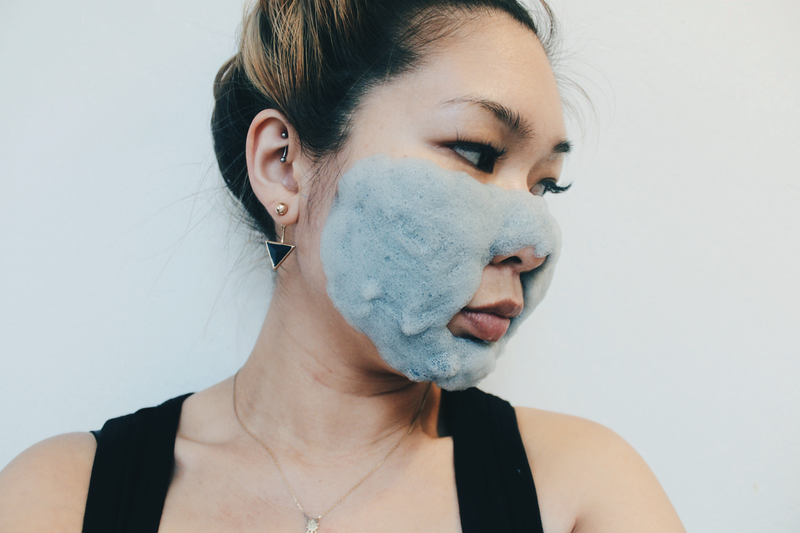 This mask is truly one of a kind because it's a bubble bath for your face! 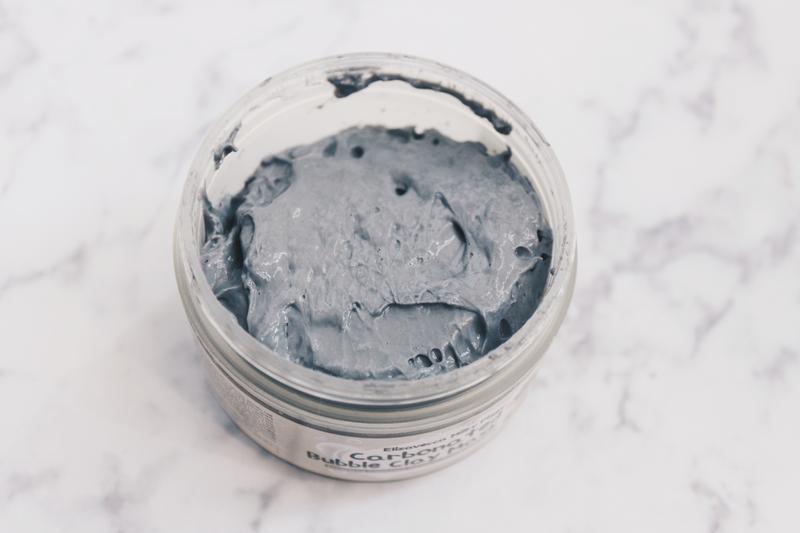 When you first apply the mask to your skin, it has a lightweight creamy texture but once you give it about 3-5 minutes, you can literally feel it bubbling/carbonating up on your face. In addition, if your surroundings are quiet enough, you can also hear it bubbling up which is super fun. 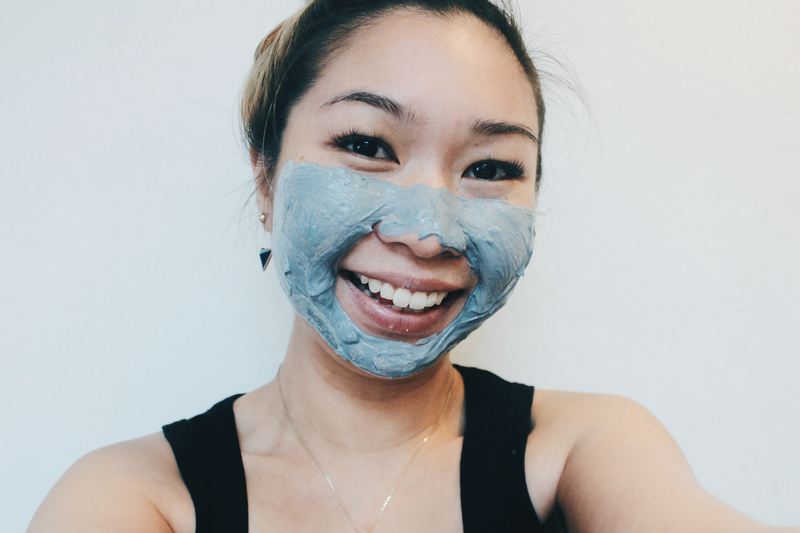 To keep it real, this mask is really more for fun than using it for misbehaving skin. I've used it about 2x a week and yes, my skin is immediately plump and soft but I haven't seen much difference in terms of skin texture. The two pictures above show the result of a five minute span of the mask on your face. I leave it on for about 10 minutes and massage the bubbles for an additional 1-2 minutes before rinsing off. 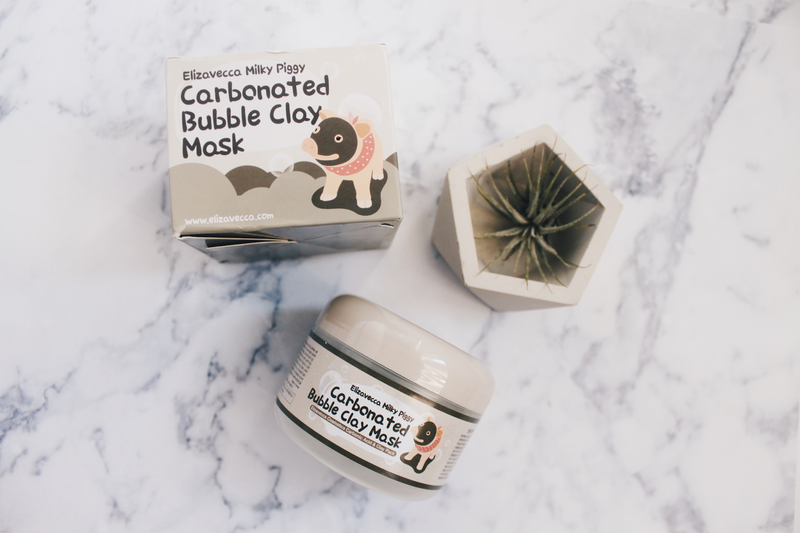 The Milky Piggy Carbonated Bubble Clay Mask is fun to do with your kids, significant other, or a night with your girls!